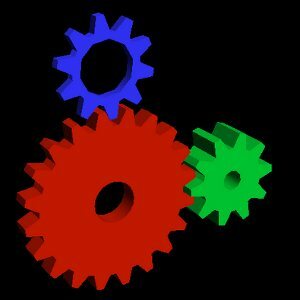 Mesa 10.6 is up to a release candidate state and should be officially released in early June. If you're not up to speed on this quarterly update to the open-source user-space graphics drivers, here's an overview of the new features for Mesa 10.6. - Numerous Freedreno Gallium3D improvements for this open-source Qualcomm driver. They've also done away with their old shader compiler. - Continued work on the Broadcom VC4 Gallium3D driver that supports the Raspberry Pi. Among other changes, it's a NIR consumer too. - Improvements for older Intel hardware. - Various improvements to the RadeonSI Gallium3D driver, but the new AMDGPU driver stack support wasn't merged in time for Mesa 10.6. - For older AMD users, there's R600g SB geometry shader support as one of the few additions to this older AMD Gallium3D driver for Mesa 10.6. - Nouveau work for Mesa 10.6 includes various improvements for Maxwell support and different fixes for Kepler and Fermi hardware too. Nouveau also now has AMD_performance_monitor support for the NVC0 driver. - Work on OpenGL direct state access and numerous other OGL extensions. - Improved VDPAU support via its Gallium3D state tracker. - AMD_pinned_memory, ARB_pipeline_statistics_query, support. EGL sync extensions are also now part of Gallium3D. - Wayland on Mesa now supports DRI-PRIME and Render Nodes. With the ongoing OpenGL 4.x enablement (and OpenGL ES 3.1), Mesa 10.6 has all of OpenGL 4.0 except for ARB_shader_subroutine and ARB_tessellation_shader support. For OpenGL 4.1, Mesa 10.6 misses the ARB_shader_precision support and lacking from OpenGL 4.2 compliance is the ARB_shader_image_load_store. It's quite likely that the Mesa 10.7 release in three months time will end up being renamed to Mesa 11.0 with OpenGL 4.2~4.3 support, but there wasn't enough time to get all of this work done for the summer 2015 release of Mesa. Stay tuned for more Mesa 10.6 coverage and benchmarks in the days ahead.